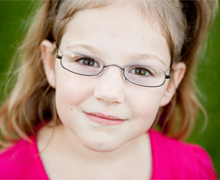 We provide comprehensive eye care to patients of all ages. Our doctors are fully trained and experienced to diagnose, treat and prevent conditions from myopia and hyperopia to glaucoma, cataracts and everything in between. We strive to provide our patients with safe, minimally invasive treatments to effectively relieve symptoms and preserve vision and overall eye health. As a comprehensive ophthalmology practice, our services include not only laser vision correction and small-incision cataract surgery but also treatments for a range of conditions such as glaucoma, the diabetic eye, dry eye and macular degeneration. Routine eye exams are an invaluable tool in maintaining your eyes’ health by detecting and preventing disease. Some diseases develop slowly without causing pain or vision loss. Early detection of any problems can reduce the risk of further harm and allow for a choice of treatment options. We regularly screen for diseases such as glaucoma and diabetic retinopathy, which can develop without any noticeable symptoms. Patients should see their doctor for a comprehensive eye exam every one to three years, depending on their age, risk of disease and overall physical condition. Even if your eyes are healthy, you should still have a regular eye exam to detect any problems as soon as possible and begin necessary treatment. Many children experience the same vision problems as adults, including nearsightedness, farsightedness and astigmatism, as well as congenital vision conditions such as amblyopia (lazy eye) and strabismus (crossed eyes), which can significantly affect proper vision development. Young children may be unaware of the fact that they are experiencing abnormal vision, which is why regular exams and early detection are essential in maintaining healthy eyes for your child. We provide specialized pediatric eye care services that focus on ensuring that your child maintains clear, strong vision as they grow. Our doctors are highly trained and experienced in the special needs of pediatric eye conditions and offer patients the skill and reliability to effectively treat these conditions. Children should have their first eye exam at about the age of two years, although it’s never too early to test a child’s vision and eye health. 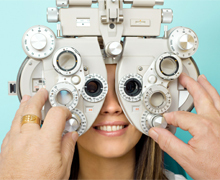 Comprehensive eye exams are essential in the diagnosis and treatment of vision problems, injury and disease. Early detection allows for treatment to begin before the child experiences difficulty in school due to poor vision, or before any permanent damage has been done to the eye(s). Children’s eye exams test visual acuity, eye tracking, and focusing skills, and detect problems such as nearsightedness, farsightedness, amblyopia, crossed eyes, dyslexia, and color blindness, and should be performed on a yearly basis. Dr. Benedict attends to premature infants and screens for blinding conditions such as retinopathy of prematurity in the hospital Neo-Natal Intensive Care Unit. Treatment for pediatric vision conditions may include glasses to improve focusing or eye exercises to correct improper vision habits. More serious conditions affecting the health of the eye, such as glaucoma, cataracts or retinopathy or prematurity, may require medical or surgical treatment approaches. We strive to provide the highest quality of care so that your child can achieve optimal vision and eye health that does not affect their school work or other everyday activities. Your child’s doctor will develop a customized treatment plan based on the patient’s individual condition. To learn more about our Comprehensive & Pediatric Services or to make an appointment with us, please call 770-419-1393.